These all leather bags are made to order! We use ours for many reasons! Tilly uses her small leather one for a make up bag and her large for overnight clothes! JT uses his for ammo storage. What can you use yours for? 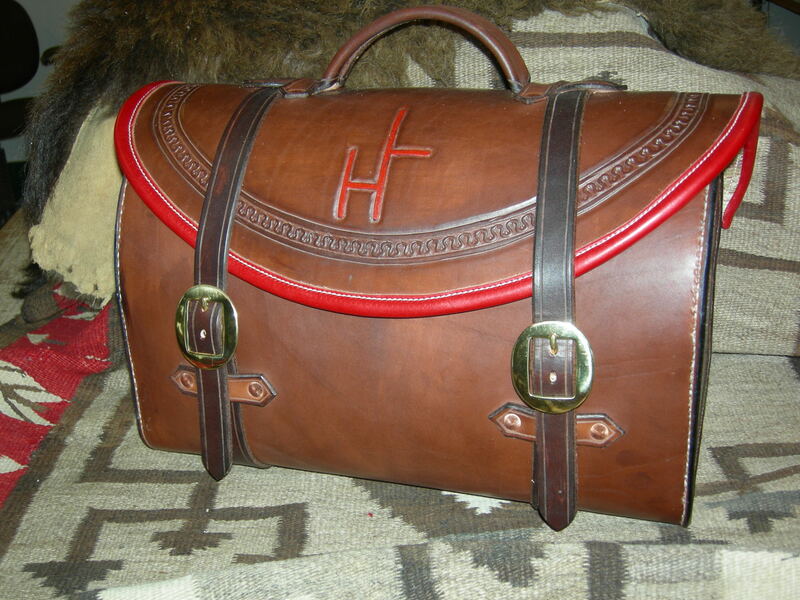 Pictured is a private bag used by J.T. for many years!